Members of The Church of Jesus Christ of Latter-day Saints (a faith often inadvertently referred to as the Mormon church) are subject to many stereotypes. One of the biggest assumptions about Mormons is that they have large families. Many Mormon parents have seven, eight, even ten children, sometimes more. While having large families isn’t part of Mormon dogma, bearing and raising children is. 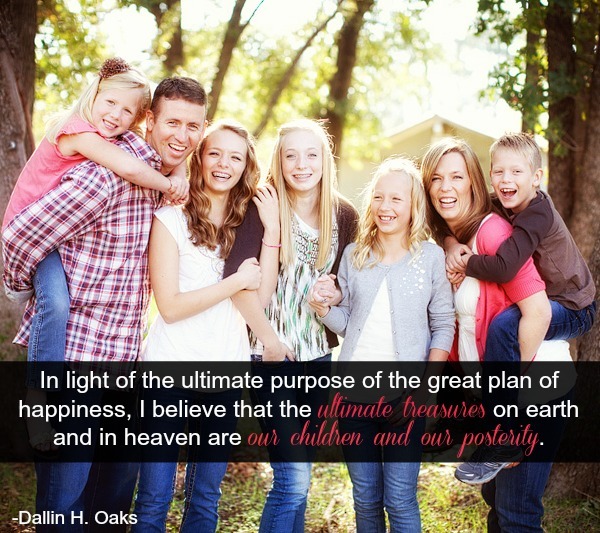 In a statement issued by the late church president Gordon B. Hinckley in 1995, he states, “The family is central to to the Creator’s plan for the eternal destiny of His children. . . . God’s commandment for His children to multiply and replenish the earth remains in force” (“The Family: A Proclamation to the World”). Apart from this dramatic statement, church leadership leaves family planning to the discretion of each individual family unit. The fact that Mormons are known for their families is significant: Mormons value children and investing in parenthood. One of the key doctrines of The Church of Jesus Christ centers on the family. Mormons believe that sacred ordinances performed in the temple can ensure eternal families. Mormon men and women are encouraged to prepare themselves for the temple, which isn’t open to the general public as the chapel meetinghouses are. Temples are reserved for sacred ordinances that prepare us for the eternities. One of the most significant ceremonies performed in temples is the sealing ceremony. A sealing is the term Mormons use for a temple wedding. These ordinances are different from civil weddings because the officiants’ authority does not extend through just this life. Men and women sealed together are married for time and all eternity. No civil officiant has the power to extend a marriage beyond death. Eternal marriage is unique to The Church of Jesus Christ and essential for eternal families. Because families are given eternal significance, Mormons place extreme value and importance on their families here on earth. Mormons believe that we existed before we came here and that we will continue to exist after this life. When my husband and I welcomed our son into our family, it was clear to us that our baby’s spirit came from an already existing heaven. Especially in those moments after his birth, we each gained a more sacred understanding of the eternities and of the profound importance of the family. Raising children is expensive. Beyond all the supplies necessary to even welcome a newborn baby into a family, over the years parents have to invest in clothing, education, food, entertainment, and other enrichment activities like sports and music. (Then factor in childcare costs or the loss of income from one parent staying home with the children.) Those who intentionally choose to have a family are also perhaps choosing to live a more frugal life. But by raising children into responsible, contributing adults, however, has a far greater and beneficial impact on society, an influence that far outweighs any personal financial inconvenience. A study conducted at Brigham Young University concluded that one child has the potential to contribute $4 million to $8 million to the GDP in his adulthood. Society and the economy benefit from parents raising children. Our world today places emphasis the self. Themes of selfishness and self-interest litter pop culture, and couples, if they marry at all, don’t place much importance on having children. If this trend of “having it all without having children” continues, our world will surely suffer. Aside from any economic argument, the quality of our society’s adults will certainly degenerate. Currently my husband and I have only one child (though we plan on adding more in the future). As the mother of only one son, I can testify that parenthood is soul-changing. Never before did I realize the depth of love I’d have for my child, the quality of selfless devotion I would harbor for that tiny person. The sacrifices involved with parenthood are many and significant. Aside from physical sacrifices like the hours of sleep I lose and the pounds of weight I’ve gained, my husband and I have also given up some of our social autonomy, time by ourselves, and time to dedicate to other hobbies and interests. I wipe the kitchen floor and pick up toys multiple times a day. Many collective hours I’ve spent consoling my overtired son in the rocking chair, softly singing lullabies and willing him to finally fall asleep. Yet with all of these sacrifices that some might say have negatively affected our life, I would never go back. In these months since my son’s birth, I have felt the greatest purpose, the greatest fulfillment, and the greatest outpouring of love that I’ve ever experienced. I feel close to heaven and close to my God. 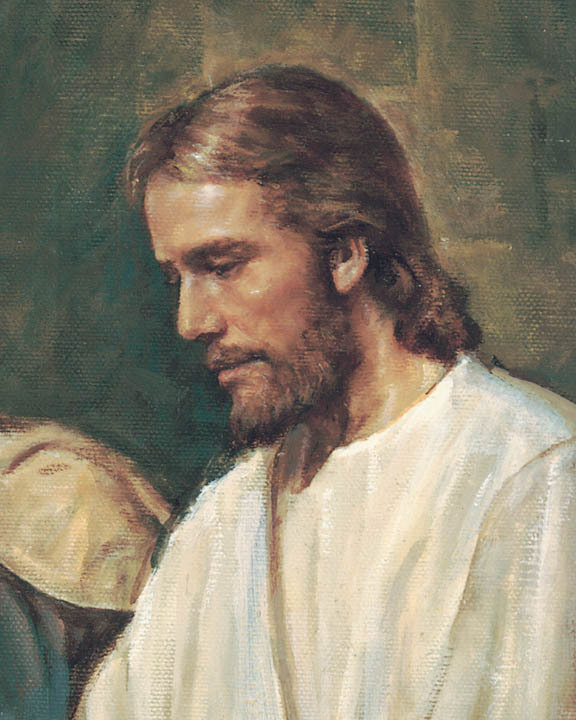 I rely on my Savior more than I ever have before, and I feel empowered. Not every day is a triumph for me; I’ve shed many tears in maternal exasperation. Yet the knowledge that I’m beginning a work of eternal consequence is not lost on me. My little family is my family forever, and fully investing myself in these people is the best, most significant project I will ever take on. Raising children is refining, and doesn’t our world need more refined and responsible adults? Not all childless families subscribe to the doctrine of selfish living. Many couples face obstacles that affect their desire to raise children. Infertility is a trial that countless couples experience, and one that doesn’t always end with a miracle baby. The Church of Jesus Christ understands these situations and offer up love, understanding, and comfort. As stated earlier, The Church of Jesus Christ has no official input into the specifics of family planning. When to have children and how many to have is a matter that only the couple and the Lord should weigh in on. Not everyone has positive associations with family; not every Mormon has had an edifying family life. If you are investigating The Church of Jesus Christ, please don’t fall under the misconception that all families are perfect or are expected to be. Parenthood, even with an eternal perspective, is difficult and taxing. Heavenly Father created the family for our benefit. Through raising children, we learn to become more like our Savior. By relying on Jesus Christ in our parenting, we learn more of His reaching power and influence. Family life, while not always easy or fun, can be the most fulfilling part of life when founded on the doctrine of Christ. Don’t underestimate the power of the family. Don’t fall prey to the lie that a childless life is the ideal. Families are sacred and can be eternal. A rich family life is perhaps the greatest blessing our Lord can offer us. 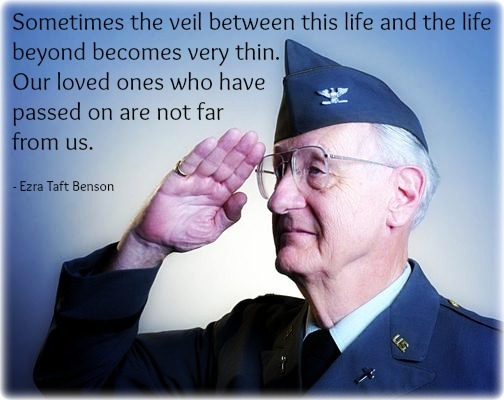 5 Things Mormons Are Most Thankful For Memorial Day: Mormons Remember and Honor Ancestors Why Do Mormons Have Large Families?